Seed Hawk Inc. is pleased to announce that the company will officially be renamed Vaderstad Industries Inc. on October 31, 2017. The name change reflects the fuller integration of the Seed Hawk brand within the Väderstad Group, bringing precision and quality together. Seed Hawk and Väderstad have been working together since 2006. 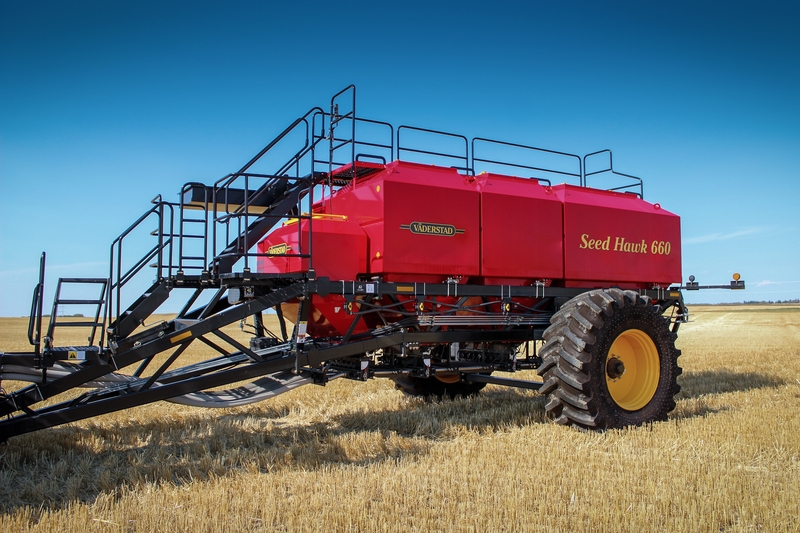 In 2013, the Swedish high quality agricultural equipment manufacturer took full ownership of Seed Hawk. The current name change reflects the fuller integration of the Seed Hawk brand within the Väderstad Group. This transition was signaled by the change earlier this year to red paint on all Seed Hawk seeding systems, consistent with Väderstad branded equipment.